Like taking copyright from a kid . . .
A & E Canadian Classroom is running a student essay competition titled 2015 Lives that Make a Difference. The contest offers cash prizes to schools and to children who submit original essays that identify and discuss a person who has had a significant impact on Canadian society. The contest is no doubt laudable for encouraging children to write, and on a worthwhile theme. Schools from across the country are probably encouraging students from grades 5 to 12 to submit their work to this contest. Contest winners will not receive their prizes unless they execute an “assignment of rights within 10 days of notification attempt”. Clearly, if A & E is to publish winning entries on their website or feature them in other media they will need permission to do so. A & E may also be mining the contest to get a sense of which public figures are inspiring kids across the country. To this end, they probably also want to insulate themselves from potential lawsuits if they later produce content about some of the individuals featured in student essays. It is therefore entirely reasonable for A & E to address IP issues in the contest rules. What is less reasonable is to require students to surrender all IP rights in their essays as a condition of participation. The quid pro quo for this wholesale surrender of IP rights by potentially thousands of kids across the country is the chance to win one of only 4 student prizes. It is possible for A & E to hold the contest, to insulate itself from legal risk, and to get kids excited about writing without pillaging their intellectual property rights. The perpetual, non-exclusive, worldwide, royalty-free license is a device that is much used and well known. It allows the licensee to make full and free use of a work while still leaving the copyright with its author. This means that the author of the work would be free to use it in other contexts and for other purposes (which might include, for example, sharing it with friends of family through social media). It is not as if any of these essays are likely to have a market value – after submission, most will quickly be forgotten by their authors. But there is an issue here of respect. We have all experienced the inundation of copyright notices in relation to films, music, and other content. We are told that we have to respect authors and creators, that copyright infringement is analogous to theft or piracy. What we hear much less about is the exploitation of unequal bargaining power as well as unequal knowledge and resources by corporations that arrogate to themselves more rights in the intellectual property of others than is necessary. There is something fundamentally problematic about bludgeoning kids with dire warnings about respecting the IP rights of others while at the same time showing total disregard for their own rights as creators. And lest this all be about A & E (the terms and conditions of other similar contests and publishing “opportunities” offered to students bear examination), there should also be some onus on school boards to consider the terms and conditions under which students are encouraged to apply to these sorts of contests. It would be helpful if they used their power as conduits for student participants to insist that terms and conditions are fair and respectful of the students’ rights as creators. The recent story of the wholesale copying of an Inuit shaman’s robe by a UK designer raises interesting issues regarding the legal protection (or lack thereof) for indigenous cultural heritage in Canada as well as the cultural dissonance that can arise in disputes over the right to use certain motifs, designs and images. In this case, the great-granddaughter of an Inuit shaman has expressed dismay over the use of the design of a shaman’s jacket. The design for the original jacket was one that came to her great-grandfather in a dream. The jacket had been photographed and the photograph appeared in a book titled Northern Voices: Inuit Writing in English by Penny Petrone, published in 1988. According to the CBC story, a replica of the same shaman’s jacket was used in a 2006 film titled The Journals of Knud Rasmussen. Seen through a Western IP lens, the shaman who created the design might well be its author, and the design might be capable of copyright protection, but the term of copyright protection would have expired by now. As a result, the design is in the “public domain” and anyone is free to copy it. Yet from the great-granddaughter’s perspective, the design is sacred, and its reproduction or use should be subject to consent. Who is entitled to give this consent and under what terms may be complex questions, yet they are questions that ethics, at least, if not law, require to be asked. The issue of the appropriation of indigenous imagery or designs in fashion and in other contexts is a recurring one. In Canada, for example, a dispute arose over the decision of HBC to outsource the creation of imitation Cowichan sweaters for sale during the Vancouver Olympics. Other fashion designers have been taken to task for their appropriation of indigenous cultural imagery and design. There have also been concerns raised about the appropriation of indigenous tattoo designs, as well as the incorporation of other indigenous designs or symbols into fashion and home décor items. There have been many instances as well of the use of indigenous pictographs on t-shirts. In March 2015, the CBC also reported on the use of First Nations design elements in the fashion line of Dsquared2, although in this case the concerns were not simply over cultural appropriation but also over the use of offensive terminology. These are only a very few examples. Arguments about the right to restrict and control the use of sacred imagery, or the right to control the production and reproduction of indigenous designs are frequently treated as normative ones. In other words, they turn on what “should” be done, rather than what “must” be done. Laws, including intellectual property laws, provide legal tools to exercise control over works, but the reality is that these laws are focussed on identifying and defining property rights in creative output and in facilitating the economic exploitation of this output. 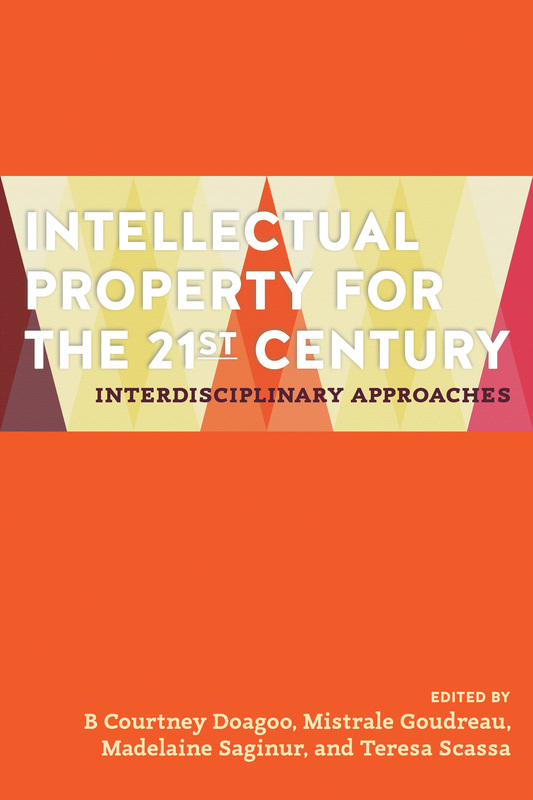 While intellectual property laws can also be used to restrict the commercial exploitation of works, their focus on individual authors and the limited term of protection are not well-adapted to protecting material that is sacred to a people. The concept of the “public domain” – those things which are not protected or no longer protected by IP laws and are therefore free to all to use – can be particularly problematic when it comes to the disconnect between IP laws and indigenous cultural property. 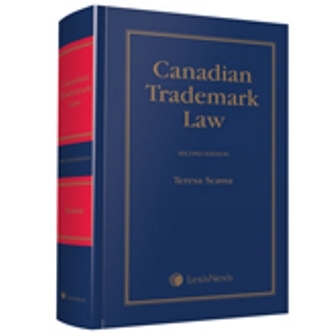 While many First Nations in Canada have found ways to use existing intellectual property laws to give them some ability to prevent or control the commercial exploitation of traditional images or designs (certification marks and official marks, for example, have been used in some cases), the effectiveness of these tools will vary according to the circumstances, and in some cases they may simply not be suitable. Normative arguments are easy to dismiss and ignore, in part because the legal machinery of the state is not there to recognize and enforce them. As Canada enters a new era of reconciliation, law and policy makers should turn their attention to addressing the gaps between what it is right to protect and what the law will actually protect. The Ontario Small Claims Court has issued a decision in a copyright dispute that is extremely unfriendly to users’ rights or the right to read in Canada. The case involves the increasingly common practice of placing digital content behind a paywall. On December 13, 2013 Blacklock’s published a story that discussed the testimony of the defendant’s president and CEO, Dan Pazsowski, before a Commons Committee. Pazsowski was sent an electronic bulletin notifying him that he had been quoted in the story. Since his company did not have a subscription to the service, he contacted a colleague at another company that did have a subscription and asked if they could forward a copy to him. They did so. He then contacted Blacklock’s to discuss the content of the story, about which he had some concerns. He was asked how he had obtained access to the story, and was later sent an invoice for the cost of two personal subscriptions (because he had shared the story with another employee of his organization). The cost of two subscriptions was $314 plus HST). The defendant’s refusal to pay the invoice ultimately led to the law suit for breach of copyright. The defendant had asserted a fair dealing defence, arguing that he had sought access to the article out of concern that it contained inaccuracies that he wanted to take steps to correct. This was argued to be fair dealing for the purpose of research or private study, which is permitted under the Copyright Act. Notwithstanding the very broad scope given to the fair dealing exception by the Supreme Court of Canada, Judge Gilbert ruled that there was no fair dealing. He wrote: “it cannot be said that the purpose here was genuine given the fact that nothing came of the research (obtaining the full article) once obtained. Giving the Defendants the benefit of the doubt here that the intention was genuine, the follow through was not.” (at para 57). This novel proposition suggests that research must result in some concrete or tangible outcome to amount to fair dealing. As any researcher knows, there may be many false starts or cold trails. In any event, the court seems to overlook the fact that Pazowski actually contacted Blacklock’s to discuss their article with them. It was this contact that led to the lawsuit. Justice Gilbert also rejected the fair dealing claim on the basis that the article had not been legally obtained. This, of course, is a significant fair dealing issue in the context of paywalls and other barriers to access to works. Given, however, that Pazowski obtained the article from someone with legal access to the database, there was room here for a more nuanced assessment. If the decision itself is not enough to raise your eyebrows, then the damage award surely will. Keep in mind that the plaintiffs originally sought the price of two personal annual subscriptions as compensation for the access to the article by the defendant ($314 plus HST). The court ordered damages in the amount of $11,470 plus HST – the cost of a corporate annual subscription. Judge Gilbert cited as justification for this amount the fact that the defendants “continued to stand steadfast to the notion that they had done nothing wrong while knowing that they had taken steps to bypass the paywall.” (at para 64). In addition, he awarded $2000 in punitive damages. A business that is entirely reliant on providing content behind a paywall clearly has an interest in ensuring that access to that content is limited to subscribers to the extent possible. But does this mean that no other access to the content can be tolerated? A person who has legally purchased a book may lend it to another to read. Is there room for the law adopt an equivalent approach for content behind pay walls? It certainly does not seem appropriate that a news service can publish articles about individuals and then have the courts support them in their attempts to so securely lock down that content that the individual cannot even see what was written about them without having to pay for an annual subscription. This decision is so entirely lacking in the balance mandated by the Supreme Court of Canada that one can only hope it is nothing more than a strange outlier. Government to Push Through Self-Serving Copyright Exception? CTV News has reported on a leaked document that suggests that the federal government will be proposing a very specific amendment to the Copyright Act as part of a future budget implementation bill. Specifically, the government will seek to create an exception to copyright infringement that will allow politicians and political parties to make use of media content in political advertisements without the need to seek permission or to pay licensing fees. Normally, the right to authorize the use of copyright protected content is one of the exclusive rights of copyright holders. The move by the government is sandwiched between two particular events. The first is an announcement in May of this year by major media outlets that they would resist the use of their content in political advertisements. The second, of course, is the looming federal election expected to take place in the fall of 2015 (and for which the campaign already seems to be well under way). The proposed amendment raises two broad sets of issues. The first relates to process and the second to the substance of the amendment. On the process side of things, the use of budget implementation legislation as a vehicle for ramming through legislative amendments (sometimes of enormous significance) without the normal opportunity for debate, study, and even revision is part of an ongoing degradation of the democratic process in Canada. Copyright reform has always been a lengthy and hotly contested exercise largely because copyright legislation reflects a complex balancing of interests. These interests are diverse, and they include the interests of authors/creators, owners of copyright, industry actors, disseminators of copyright materials, and the broad range of users of copyright protected works. Exceptions to the rights of owners of copyright are generally a key focus of these balancing exercises. The Copyright Act was the subject of substantial reform in 2012 (including the addition of a number of new exceptions), and is slated for another review in 2017. The addition of a new exception at this point in time smacks of self-interested expediency on the part of politicians. As a matter of substance, it is difficult to comment directly without the actual text of the amendment. However, I offer up some general observations to highlight the complexity of the issues raised, the potential problems, and the ways in which any such amendment might benefit from greater consideration than a budget implementation bill might warrant. It should be noted that the use of content without need for a licence is already provided for in a variety of contexts under the fair dealing exceptions in the Copyright Act. Under these exceptions, the use of a work must be for a permitted purpose (which can include news reporting, criticism or comment, parody or satire). Such use must also be considered ‘fair’ – in other words, it is not enough to simply allege a specific purpose, one must also use the work or the extract fairly. It is worth noting that the issue of the use of media content in political advertisements in Canada has never been litigated – thus we do not know whether such use might qualify, in appropriate circumstances, for one of the already existing fair dealing exceptions. A first question, therefore, is whether a new exception is needed. Any specific exception to allow the use of media content in political advertisements would have to consider and define who would be entitled to make such use (Politicians? Candidates? Potential candidates? Political parties? Interest groups?) and what content is up for grabs (Content from mainstream media outlets? From bloggers? Twitter or other social media?). Certain existing fair dealing exceptions require that the source and author be identified when material is used, and presumably something similar should be required here. Further, one would hope that, as with the other fair dealing exceptions, there would also be the additional requirement that any use made of the content must be ‘fair’. It will be very interesting to see whether this is part of any amendment. The ‘fairness’ of any use of content in political advertisements will be a big issue: a use that misrepresents or takes content out of context would be difficult to justify as fair. But if taking things out of context is the name of the game in political ads, will we see an exception that does not impose a fairness limitation on the use of copyright owners’ content? Any such exception would also fit within the context of the legislation, which provides for certain moral rights. These are available to human authors (and not to corporate owners) of copyright protected works. They can be asserted to protect the honour and reputation of the author, both in terms of the integrity of their work and the causes or institutions in association with which the work is used. While author-employees may waive their moral rights with respect to their employers, they do not, in so doing, necessarily waive them against the rest of the world. Thus, even with a new exception, it might be possible for journalists whose work is used in ways that affect the integrity of their work or that link them, through their work, to a cause or institution they do not support, might still have a moral rights claim. While it is reassuring to think that the exception is not a blank cheque, moral rights case law in Canada is skimpy, and it is difficult to predict what the role will be of moral rights in this context. Of course, there is a strong public interest in the free and open exchange of ideas. It can certainly be argued that this amendment will enhance the ability to engage with media stories without the need to seek permission to do so, and that this is a good thing – even if many political advertisements are hardly a shining example of engaged political discourse. Nevertheless, to ram through such an exception to the Copyright Act in a budget implementation bill, without due democratic consideration, and in the face of some fairly serious public policy questions on both sides of the issue, makes a mockery of copyright reform. Canadians may remember that it was only in the 2012 amendments to the Copyright Act that an exception was finally included to make the home recording of televised content legal (!) and then only under a tedious list of conditions and limitations. The wheels of copyright reform move slowly and carefully indeed for ordinary Canadians; they clearly move much faster when political self-interest is engaged.